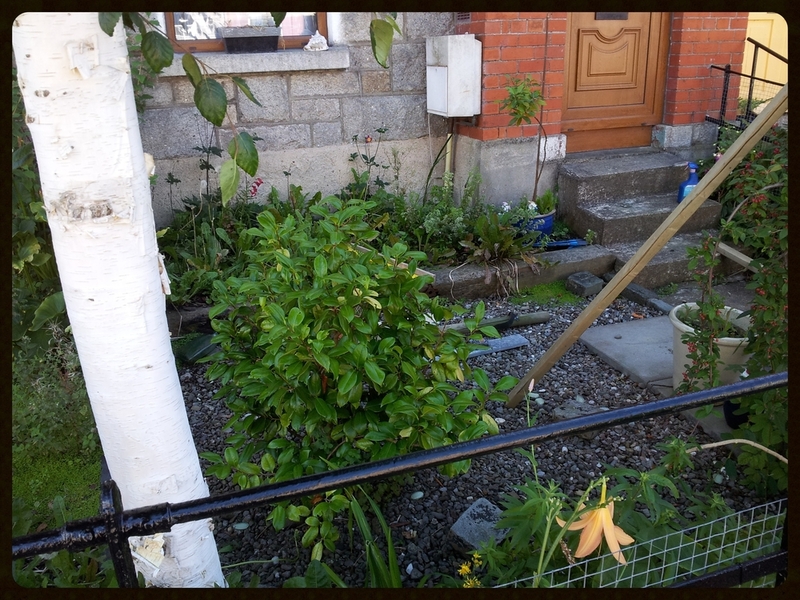 Our brief from Garden owner was a complete landscaping transformation of their small front garden into a low maintenance welcoming space. 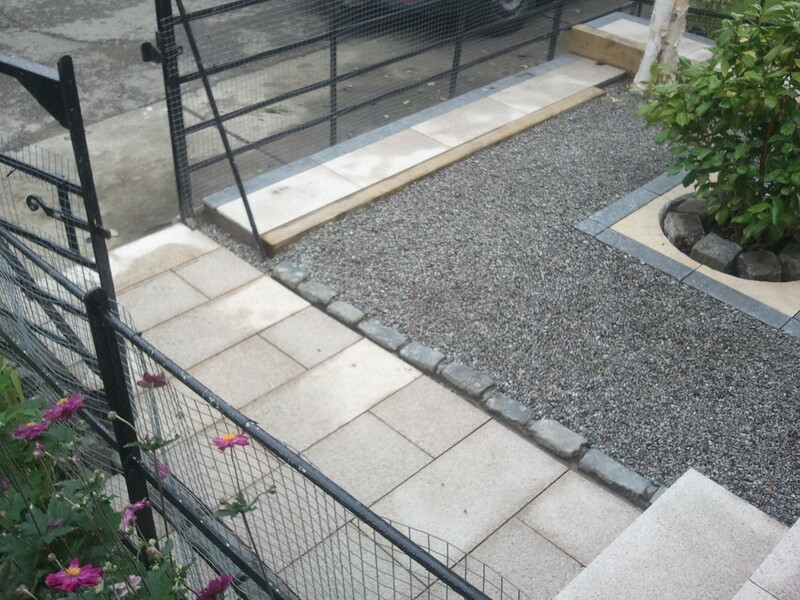 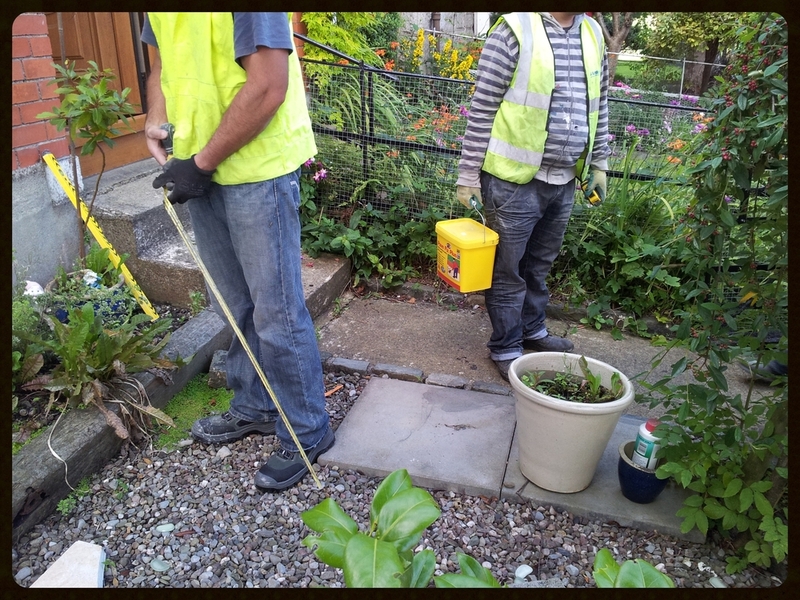 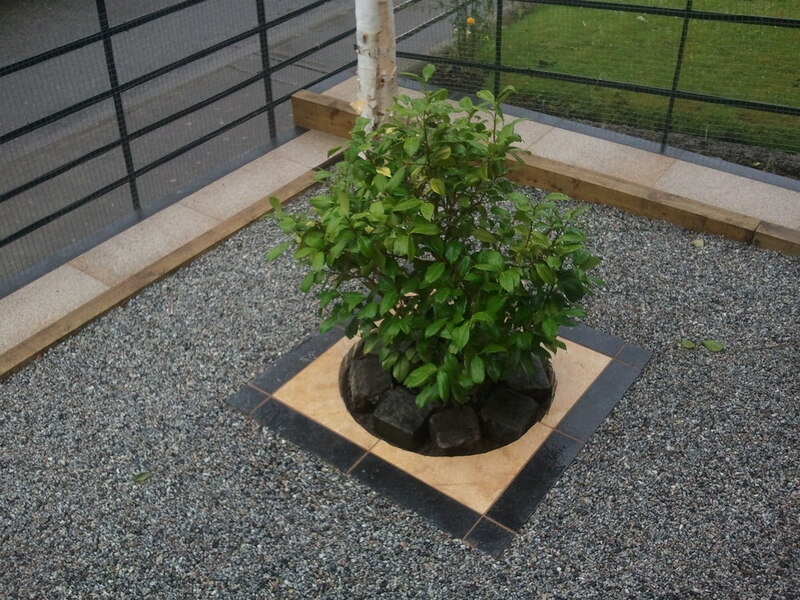 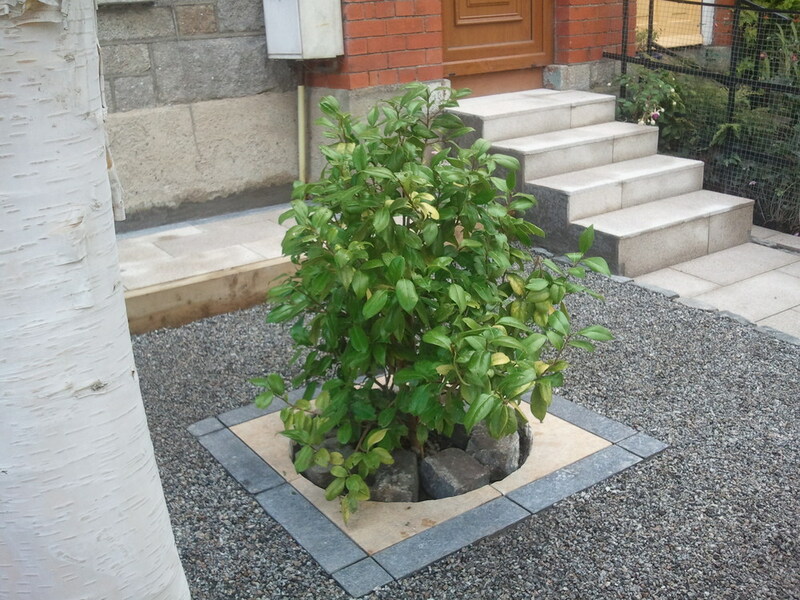 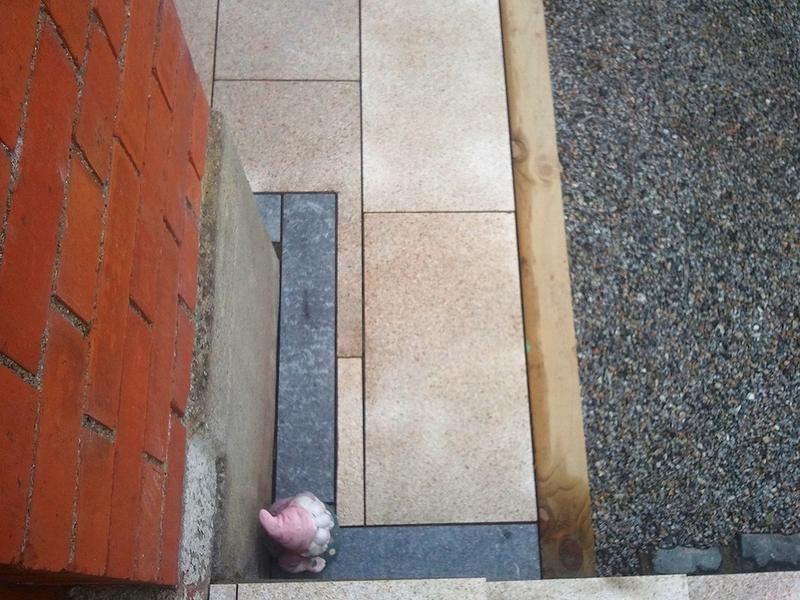 A terraced and sloping garden was landscaped with Natural Granite paving and Garden Sleepers. 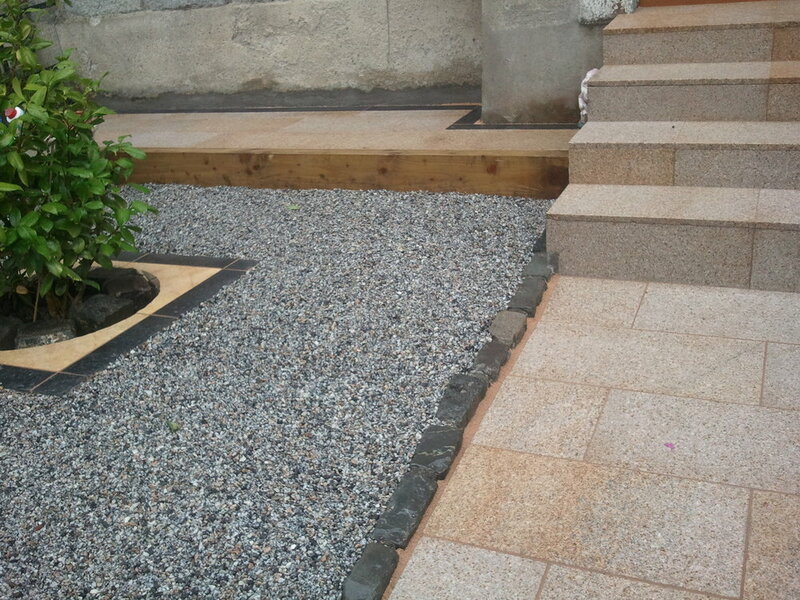 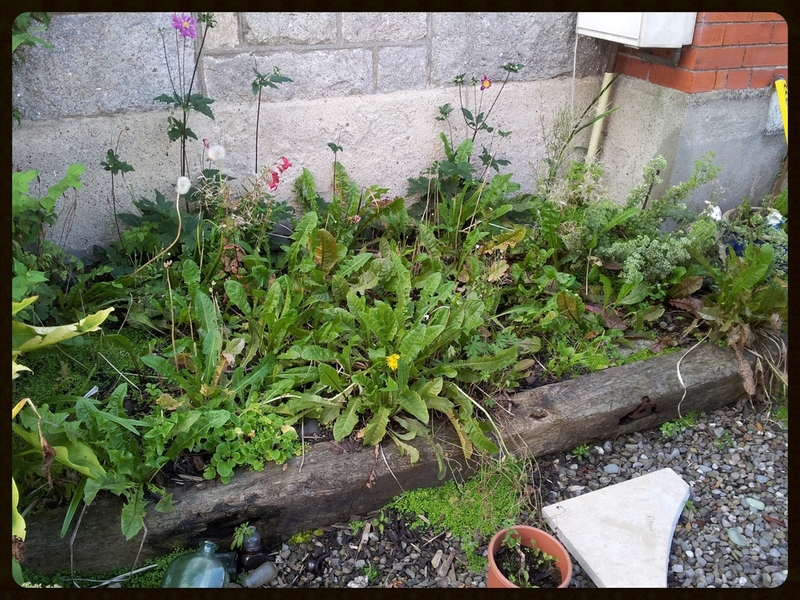 Sleepers were constructed to create an instant step effect taking occupant around perimeter of garden.